A mobile spin-off of the popular racing game series. The production features a wide range of cars, tracks, and game modes. 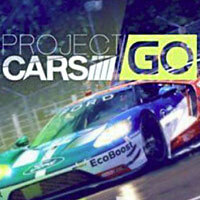 Project CARS GO is a3D racing game for Android and iOS, oferring an experience similar to its console predecessors. You can drive various realistically rendered licensed cars and modify them. The production was developed by Gamevil, known for e.g. ArcheAge Begins, Kritika: The White Knights, and Dragon Blaze.